Tsunami Preparedness Week will be recognized on Sunday, March 27 – Saturday, April 2 to coincide with the Great Alaska Earthquake and Tsunami, which occurred on March 27, 1964. The 1964 earthquake in Alaska registered a 9.2 magnitude. It caused more than $2.3 billion in property loss. Due to the severity of a tsunami, everyone should know how to prepare for an earthquake, and resulting tsunami especially if you live, work, or play on the coast. Many of the actions to prepare for a tsunami are the same as preparing for other hazards such as developing a family communication plan and creating a disaster supply kit. Find out about your children’s school evacuation plans. 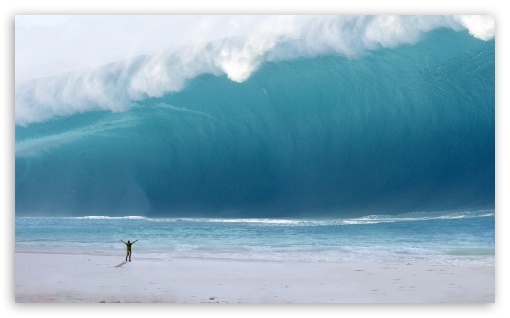 Check out the National Weather Service website to learn more about tsunamis and how to protect your family. an arrival or occurrence of something in overwhelming quantities or amounts. "a tsunami of data pours into the CNBC newsroom every minute of every trading day"